Just three years ago, a groundbreaking new form of extrasensory communication was conceived in Estes Park, Colorado, deep within the haunted walls of the famous Stanley Hotel. At the time, the creators – full-time, resident paranormal investigators of the property – had little idea what they’d developed, or how much it would impact the paranormal field in such a short time. On January 21, 2016, Karl Pfeiffer, along with his fellow resident investigators Connor Randall and Michelle Tate, were spitballing an idea they’d been kicking around since 2011. What if they isolated the noise from an SB7 Spirit Box – a device that forces sweeping radio signals into chunks of randomized noise which many ghost hunters believe can be manipulated by spirits to send messages – and fed it into a person, making them the Receiver? With time to kill, the group hooked Connor Randall up to a pair of headphones and sat him down in the Concert Hall’s basement hallway, where the team had been experiencing increased activity in prior weeks. While Connor sat quietly, eyes closed, listening to a direct feed from the SB7, Pfeiffer began to ask questions pointed at the ghosts in The Stanley. To his surprise, Randall began to spit out answers… and they were making too much sense to be coincidence. “I was expecting there to be some interesting moments when we began, that we’d sometimes have some random words align, but during the first session, I was very surprised at the consistency,” Pfeiffer says. To rule out any trickery, Pfeiffer and Randall continued to tweak the experiment, adding a blindfold to ensure that the Receiver couldn’t read lips. Randall, drummer for the Colorado-based punk band The Ghoulies, suggested that they add a pair of noise-isolating headphones to rule out the possibility of the the receiver hearing the questions being asked. Things only got more interesting from there. Karl and Connor named their experiment The Estes Method, an homage to Estes Park, Colorado, home of the Stanley Hotel, and the birthplace of one of the most groundbreaking paranormal experiments to emerge in the last several decades. The earliest uses of the Estes Method were documented in Pfeiffer’s excellent Spirits of the Stanley series, and the excitement is palpable as the group realizes they’re on to something big. Since the inception of the Estes Method, the duo have clocked well over 200 hours in the experiment, testing it for flaws, tweaking it with new variables, and guiding colleagues through the process of performing their own sessions. The evidence of its success continued to pile up. Having seen and utilized the Estes Method myself, the results are nothing short of stunning, and that’s coming from someone who loathes all forms of spirit boxes, radio sweeps, and “random” speech generators used by paranormal investigators. The brilliant part about the Estes Method is that effectively removes the “group bias” of spirit boxes, a side effect which taints their usage. So, how is the Estes Method actually working? The sensory deprivation methods coupled with a form of nearly-white noise are a throwback to the heyday of psi research being performed in places like Duke University, so if you were to ask this paranormal researcher, I’d say that the answers received through the Estes Method are psychically induced. While the conscious mind is busy listening to sweeping radio channels, the receiver is lulled into a sort of trance – which is noted by the back and forth rocking motion performed by most Receivers – and begins to hear words and phrases that aren’t really in the feed, in turn, becoming a channel for psychically-related messages. This might not be impressive if the Receiver could actually hear or see the questions being asked by the operator, but with the sensory deprivation elements in place, it only makes the case for channeling stronger. In fact, it appears that the Estes Method works even better when the receiver is already psychically-inclined. Of course, that’s just my opinion after observing and performing numerous Estes Method sessions of my own. When I asked Karl about his thoughts on what he and Connor had created, he had a much different response. Connor Randall is a bit more to the point. Regardless of exactly how the Estes Method is working, its stunning results and ease of use have seen it adopted by some of the biggest names in television ghost hunting. The most famous example of the Estes Method in use is on the Travel Channel, where paranormal investigators Amy Bruni and Adam Berry have put it to use nearly half a dozen times over three seasons of their hit series Kindred Spirits, where they refer to it as “The Spirit Box Experiment”. The method has also shown up in numerous episodes of ghost hunting shows on Ghost Adventures‘ Nick Groff’s streaming platform, VIDI Space, and appears prominently in the new documentary series Hellier, which features Pfeiffer and Randall’s experiment in one of its best sessions yet. Since its inception, the duo have tried using the Estes Method in a multitude of ways, attempting distance experiments where the Receiver and Operator are each isolated, “Blind Sessions” where the Receiver attempts to retrieve information about an object they haven’t seen, and even Estes Method sessions featuring two, three, even four or more people acting as Receivers. Connor and Karl have helped produce two other jaw-drapping Estes Method variations that are so top-secret they can’t even talk about them yet.. but you’ll see them in two new series in the future. The wide adoption of the Estes Method denotes a sea change in paranormal research, where actual parapsychological methods are being introduced into the amateur field, a place where blinking gadgets and repurposed home improvement tools have been the rage for twenty years. We could certainly chalk it up to the recent resurgence of spirituality within the paranormal community – tarot cards used as a ghost hunting tool, ritual magick melded with anomalous investigations, and wider adoption of sensory deprivation methods like the Ganzfeld Experiment have created a wider space for creativity and experimentation – but that would only be half true. The reason that the Estes Method has taken off is because it wasn’t developed to look good on television – it was developed through countless hours of research and experimentation by two of the brightest young minds in paranormal research. For that reason alone, it does more than flash and beep and spit out spooky words programmed to cause gasps during ghost hunts – it actually works. It’s no wonder that it’s been quickly – and quietly – picked up by those paying attention. With its use on shows like Kindred Spirits and Hellier, it’s inevitable that the wider public will begin to experiment with the Estes Method, so I asked Pfeiffer and Randall for advice. Here’s what you need for an effective Estes Method session, straight from the creators of the experiment. A willing Receiver and a willing Operator. In other words, someone to perform the Estes Method and someone to ask questions. A solid, tight blindfold. This particular type of mask, affectionately referred to as an “eye-bra” by Randall, works best. An SB7 Spirit Box, preferably the latest model. They’re much louder, which helps rule out fraud by unscrupulous Receivers. A pair of Vic Firth S1H1 or S1H2 Stereo Isolation Headphones. These are vastly important. If you aren’t using these headphones or an equivalent, throw out all of your evidence. These cans were made for studio drummers and block external noise up to 25 decibels, ruling out unintentionally hearing the Operator’s questions or outright fraud. If you see an investigator using off-the-rack headphones or earbuds, they’re performing the experiment incorrectly and might be trying to pull a fast one on you and the viewer. Anything less than 20 decibels of sound isolation won’t cut it. Stick to the Vic Firths. A general rule of EVP playback applies here as well: beware of sound-cancelling headphones. These types of headphones work by playing a tone that deafens the ears to outside sounds; you don’t want your headphones accidentally muting a spirit voice that might whisper through your feed. The Receiver should make themselves as comfortable as possible, place their blindfold on and fasten it tight enough to block all light. The Vic Firth Headphones should be plugged into the “spout” jack on the newer SB7 Spirit Box models and not the headphone jack – the spout is much louder and helps rule out fraud. Once the Receiver is comfortable and ready, the SB7 should be set to scan, at the loudest possible volume, ideally at a rate of 200ms, but not less than 100ms. Be mindful that the forward or reverse options only refer to the direction the scan climbs or descends through stations: it’s not rewinding or playing any stations backward if you’re using the reverse setting. Connor Randall himself prefers to sweep forward on AM stations at the fastest sweep rate, but this is up to personal preference. The noise will probably stun the Receiver at first, which is good. If it doesn’t, the SB7 is probably not loud enough. Pfeiffer and Randall pointed out that it’s not important for the Receiver to try and discern what voices might be supernatural versus the radio (the way some investigators might with a traditional Spirit Box setup). Simply say anything that you hear clearly. You’ll recognize commercial blips and music, they say. The important part is just saying anything and everything that’s coherent. At this point, the Operator should begin asking questions directed not at the Receiver, but at the entity or entities in the room. If all goes well, you should start to receive pointed responses. Connor Randall has some additional advice for the Receiver: say everything that you hear, no matter how weird it might seem at first, and let it go without thinking about it too much. When it comes to being the Operator, Karl Pfeiffer is well-versed, often sitting behind a camera and documenting the sessions. Don’t worry if you only seem to be receiving nonsense at first – it appears that there can be a “warm up” period before the spirits / entities / intelligences learn to use the Estes Method. I’ve personally found it easiest to explain out loud how the experiment works, typically by asking any non-local intelligences to put thoughts, ideas, or phrases into the head of the Receiver when giving the response. 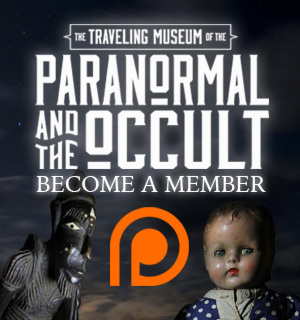 With this information, you’re off to the races, and able to perform what is genuinely one of the most groundbreaking experiments to hit the paranormal investigation community since the EMF meter. With enough time and practice with The Estes Method, you’ll be receiving responses that will make you seriously question the role that technology plays in ghost hunting, and instead, consider how important our own minds are as tools in the search for answers to life’s greatest mysteries. 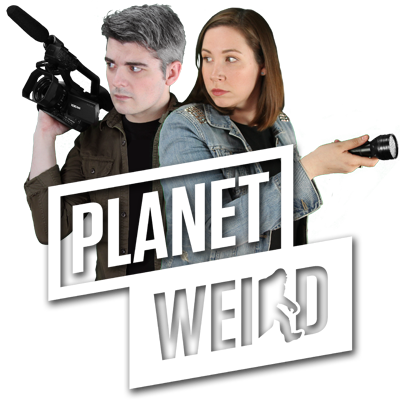 To learn more about the Estes Method, be sure to check out Planet Weird’s Hellier, and watch Karl Pfieffer & Connor Randall’s inception of the SB7 Spirit Box Experiment on Spirits of the Stanley.